Investment managers are in pain. Either their performance is questioned, or their costs are under attack. They need good quality research at an affordable price. A new European regulation, MiFID II, is driving much of this pain causing a significant increase in the cost of research, while research quality is variable and can suffer with significant biased. The growth in the quantum of published data, relevant to research, is now so large that it is overwhelming conventional analytical techniques. However, advances in data extraction and machine learning means this data can be processed efficiently. 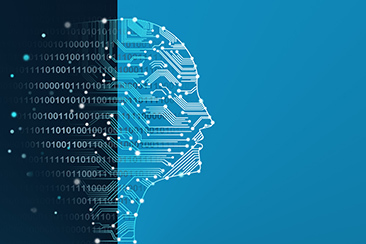 FREGNAN exploits the technological advances in artificial intelligence and machine learning, with advanced data extraction techniques, to create unbiased, advantaged research. Using machine learning and web harvesting FREGNAN model’s individual companies, their competitors, and their environment. Compared to conventional techniques its engine is able to analyse more data than is humanly possible, create better financial models, and broaden and deepen the insight of the analysis. Through its technology FREGNAN aims to deliver a significant improvement in the prediction of future company performance, while giving a more accurate assessment of its risk, and at a significantly lower cost than existing techniques. Within 5 years FREGNAN believes that traditional investment research methods will become obsolete; too expensive, insufficient quality, and too late. At the same time increasing competition, moves to automated or passive management, will mean that fund managers will have to engage with research technology or face significant disadvantages. In so doing they will be more reliant on these technologies. In house technologies may grow but the level and pace of innovation needed to stay ahead will be too large for all but the largest fund managers. Therefore, engaging early with FREGNAN will give fund managers the advantage they need. FREGNAN has already built a version 1 AI engine and has its first ‘beta’ product ready for launch. FREGNAN’s engine produces new insights on the companies that is analyses, while calibrating well against ‘traditional’ research outputs. FREGNAN is keen to engage with fund managers during its next phase of development, as it builds further capability and shapes its outputs to exactly match funder manager needs. Contacting Vince, vince@fregnan.com, to request a demonstration and to explore: how FREGNAN can add insight to a fund manager’s research now; and how further insight and capability could be delivered through working closely with FREGNAN.